On average, according to many notable studies, 37% of any business’s top line revenue is spent in the areas of digital operations, marketing operations, sales operations; and that doesn’t even include customer success and customer retention. As I was booking travel to visit a customer out-of-state, the customer asked me to delay booking until we had a couple more meetings; not because they didn’t want me to be there but because they didn’t see any rush on booking in advance. I explained that the plane ticket for me to attend this meeting would cost twice as much if we wait, whereas buying it now ensures a lower cost and I could always cancel to hold the credit for a future flight since we’re going to be working together for more than a year. Atomic Revenue is always concerned about the price of the flight. There are so many opportunities in sales and marketing to spend 60%, 50%, maybe even 30% of what you’re spending now on specific line items to get the exact same thing. It is about a proper budget and timely planning. When you get things done in advance and are committed to the plan not only do you get to purchase everything you need to execute that plan at a lower price, but you also get to execute that plan better to produce more results. At Atomic Revenue, lower costs and more results are our business. This is why people hire Atomic Revenue. It’s what “Return On Investment for every dollar you spend in digital operations, marketing operations, sales operations, and customer success” means. It is direct profitability! 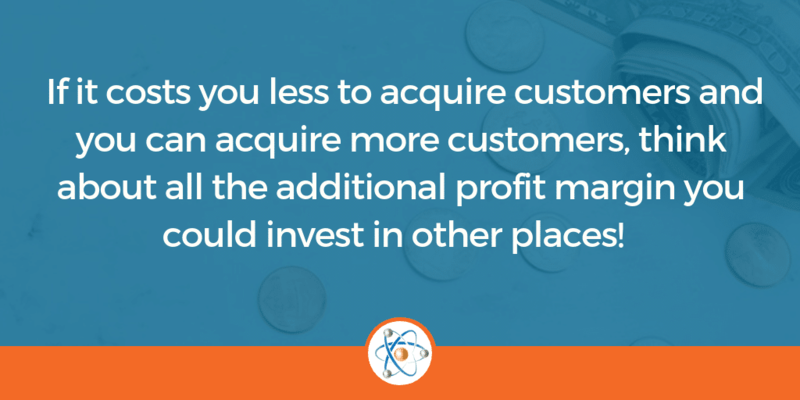 This drives your business forward; if it costs you less to acquire customers and you can acquire more customers, think about all the additional profit margin you could invest in other places; in hiring, plant expansions, in that new facility you’ve wanted to open, in that extra staff person who would make your customer experience so much more valuable. 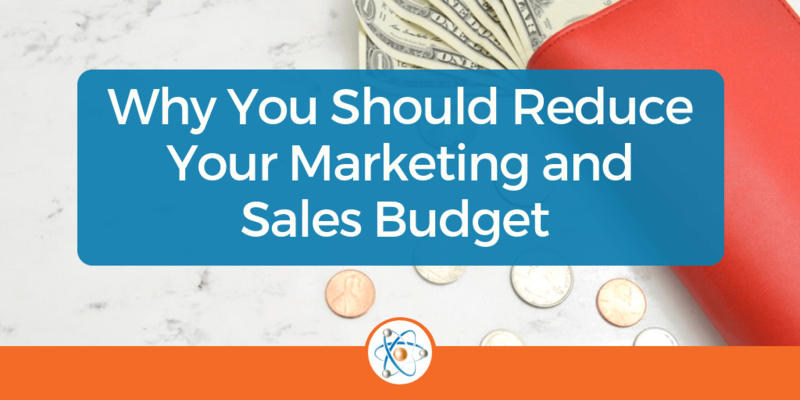 Unless you are spending zero or underspending in marketing and sales, in which case you’re probably not getting the customer acquisition results you want, you are probably at the other end of the spectrum. 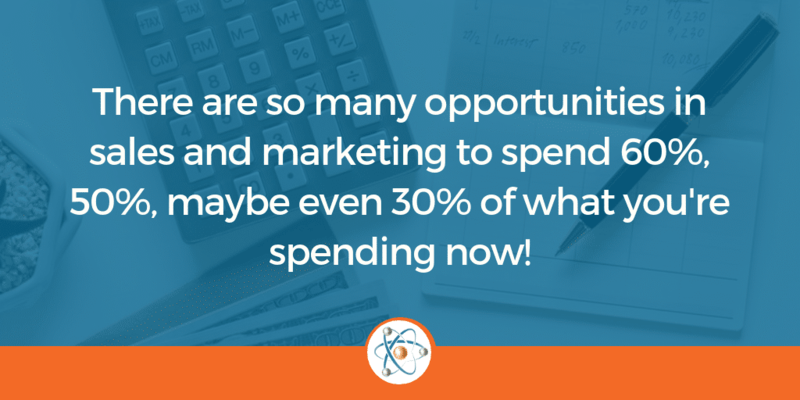 This is where you are spending too much on marketing and sales and not getting enough results. We very rarely find that people are spending the right amount to improve results. This is exactly why we diagnose first–find opportunities to save money and improve productivity with what you are already doing before we resolve the larger challenges to your revenue operations.